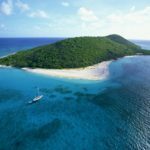 The U.S. Department of the Interior announced $2,501,621 in funding to the U.S. Virgin Islands to support critical state conservation and outdoor recreation projects. 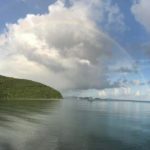 The National Park Service is working in coordination with the U.S. Coast Guard and FEMA to address damaged vessels that have been displaced due to recent hurricane activity. Some Caribbean park units fared better than others based on location and type of infrastructure, but all units are closed now for various reasons. Interested parties wanting to view the daily updates are encouraged to use the National Park Service (NPS) Severe Weather Response website. 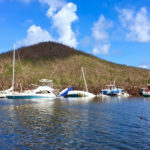 Many of the Virgin Islands national parks sustained damage from Hurricane Maria, mainly in the form of downed trees, loss of power, structural building damage, shoreline erosion and storm-washed debris. Under the authority granted the NPS and the superintendent, the public use limits and the closures will remain in effect for the foreseeable future. All boaters should begin to make necessary preparations for Hurricane Maria. Boaters desiring to take the initiative are advised to relocate to the havens mentioned below. 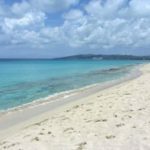 The Friends of Virgin Islands National Park’s Annual Gala will be hosted by Pamela and Steve Deckoff at their home, "Presidio del Mar," in Peter Bay on St. John. 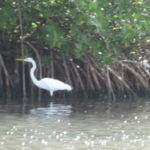 Friends of Virgin Islands National Park (Friends) today announced a donation of $1.275 million by St. John resident and conservationist Jon Stryker to fund the purchase of an 11.8-acre property that will be donated to the Virgin Islands National Park.